As human beings we are the sum of our experiences and memories. However, due to neurological factors, cultural factors and the passing of time our memories are altered to the point where what we recall and visualise may be more fantasy than reality. Thus, if there is any truth in the proposed notion of an altered perception then that makes us ultimately alone within our own realities - a state in which our experiences are essentially ephemeral and fleeting. The installation was designed to exist solely for the period of the exhibition, to adhere to the underlying theme of the work being of a transitory nature. 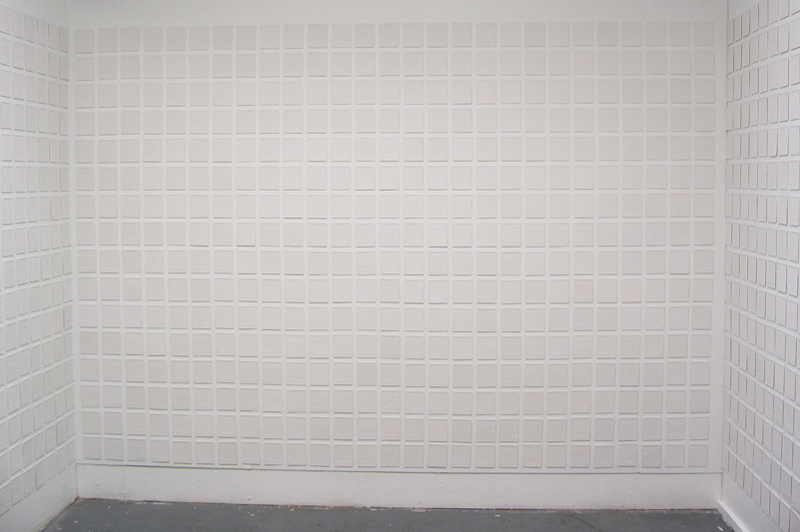 The walls were lined with over a thousand plaster casts of polaroid film, each one blank except for one. A digital screen was set up behind this particular polaroid, playing a slideshow of polaroid images that were taken over the period of a year. Being quite small in size, the viewer was forced to lean in to view the slideshow. A hidden camera was set up and programmed to detect and photograph the viewer as soon as they leaned in. The resulting photo was then fed into the slideshow after a 5 second delay, deleting itself after it had appeared on screen. 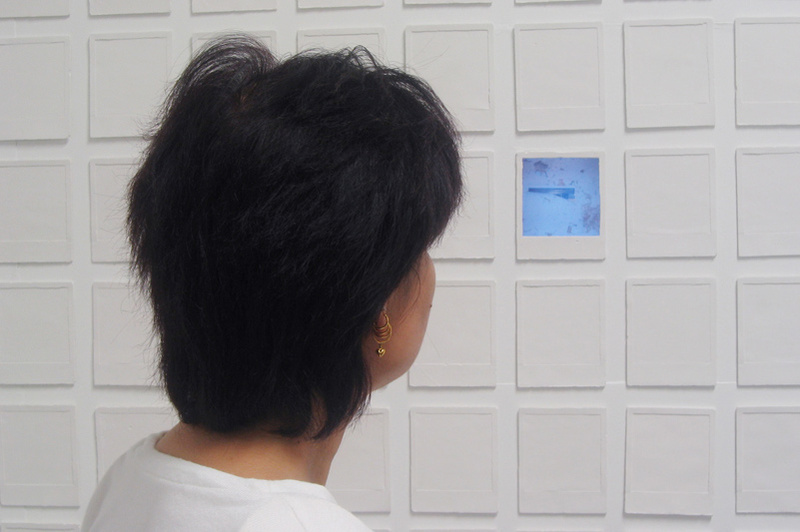 This voyeuristic element was intrinsic to the nature of the work, as it took the viewer by surprise, forcing them to question whether they had in fact just seen a picture of themselves come up on screen. It appeared to have a destabilizing effect on people, highlighting the idea that nothing is ever as it seems. On the opposite side of the room was a video played on a loop. Phantasmagoric in nature, it depicts an ordinary dinner setting placed in a non-sensical scene. Its inspiration taken from the story of Eliza Donnithorne of Newtown, in Sydney. In 1856, she prepared to wed, and the wedding banquet was set out with guests assembled at her home, though the groom never showed up. As the story goes, for the rest of her years until her death in 1886, the banquet remained untouched on the table and she kept her wedding dress on in the hope that her groom would someday return. 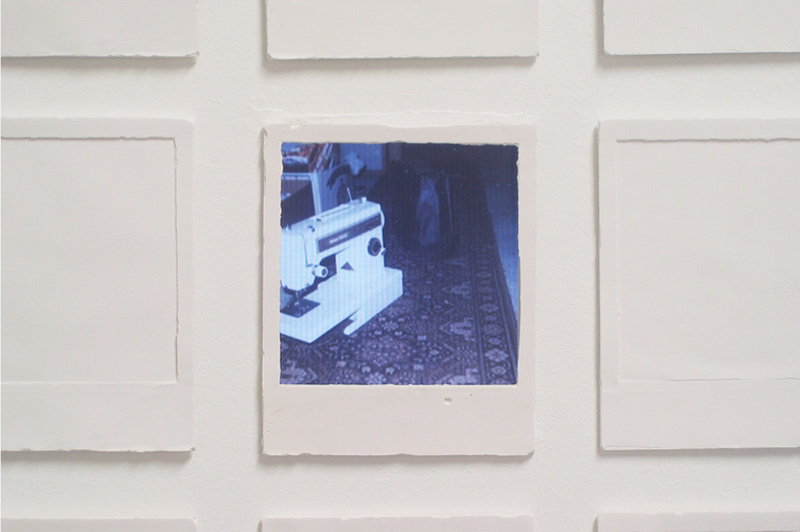 Multiples of the plaster polaroids were left at the entrance of the room for viewers to take away with them.